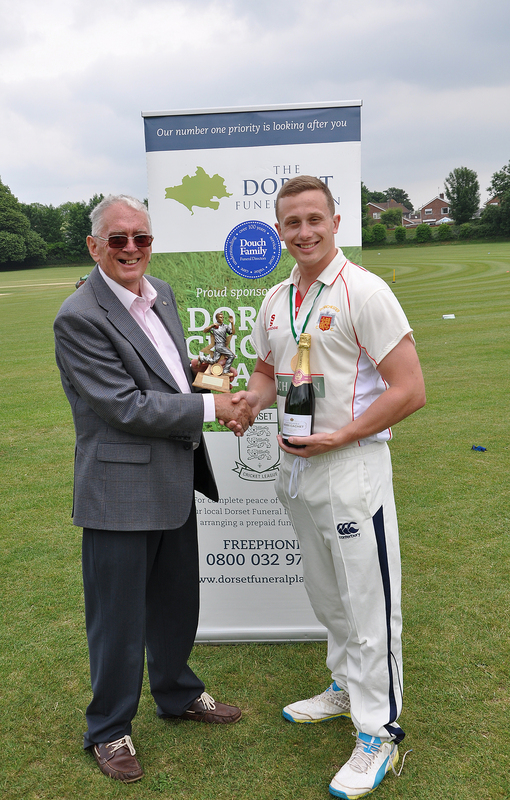 Dorchester Cricket Club’s first eleven picked up the Team of the Month award for May after winning every game. The run led them to the top of the county’s Premier League where they continue to sit. During May, Dorchester defeated Stalbridge, Swanage, Bere Regis and Poole Town. 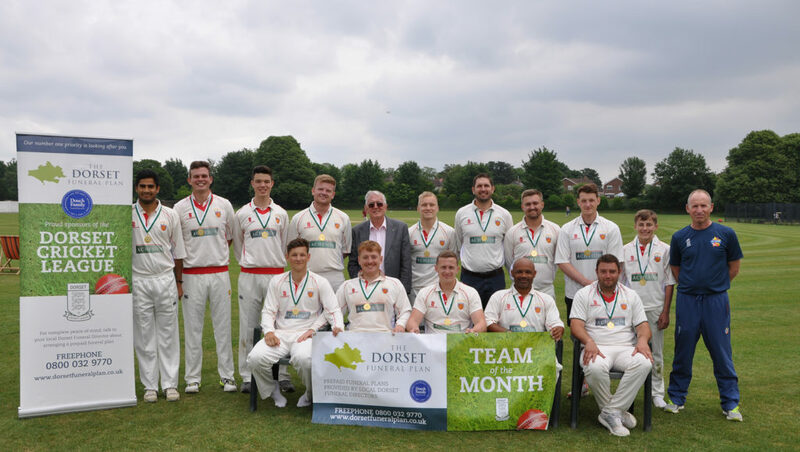 Peter Douch from sponsors The Dorset Funeral Plan, which is run by Douch Family Funeral Directors, presented the awards and a trophy to the team. They also received a bottle of bubbly to toast their early season success. Peter said: “Dorchester got off to the perfect start by winning all their games in May. “Their performances included scoring 250-5 at Poole Town and I see that their high scoring has continued into June. Dorchester’s vice-captain, all-rounder Simon Mitchem, was presented with the trophy in the absence of skipper James Dunham. He said: “It’s been a great start especially because everybody has chipped in and we haven’t relied on the same people. “Our captain James Dunham along with Dan Belt have been great with the ball and Eral Anderson has scored a lot of runs.